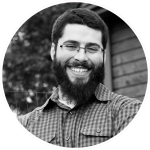 Joe Norton is a Partner & the Chief Software Architect at Philly Marketing Labs. He leads the R&D efforts (the ‘lab experiments’) where his central mission is to invent, develop and bring-to-market next-generation digital marketing tools & services. Joe is an innovator and strategic thinker, with a strong background in internet marketing and software development. He has worked in both marketing and technical roles, for companies ranging from seed stage startups to public companies. Joe cares about efficiency and productivity in the world. He is driven to create things because he believes that through them he can have a positive impact on others lives. Joe is motivated by the thought that someone out there will save time, or make more money (spend less, etc. ), because of something he created and that is why he is constantly looking for opportunities to improve the lives of others through software. LIKE WHAT YOU SEE, LET'S WORK TOGETHER.